This entry was posted in Motion Offense, Offense and tagged basketball offense, coaching basketball, open post offense on August 4, 2014 by admin. 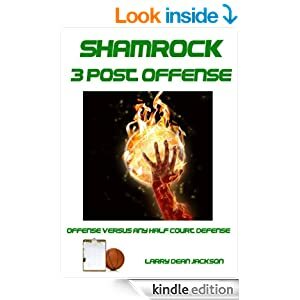 This entry was posted in Motion Offense and tagged 5-out basketball offense, basketball offense, coaching basketball, open post offense on May 10, 2014 by admin. This entry was posted in Motivation and tagged basketball offense, coaching basketball, open post offense on May 10, 2014 by admin. This entry was posted in Motion Offense and tagged 5 out motion, basketball offense, coaching basketball, open post offense on May 6, 2014 by admin. This entry was posted in Motion Offense and tagged 5 out offense, basketball offense, coaching basketball, open post offense on April 26, 2014 by admin. This entry was posted in Offense and tagged 5 out offense, basketball offense, coaching basketball, open post offense on April 24, 2014 by admin. This entry was posted in Motion Offense and tagged 5 out offense, basketball offense, coaching basketball, motion offense, open post offense on April 23, 2014 by admin. This entry was posted in Motion Offense, Offense and tagged basketball motion offense, coaching 5 out offense, coaching basketball, open post offense on April 14, 2014 by admin. This entry was posted in Motion Offense and tagged 5 out offense, coaching basketball, motion offense, open post offense on April 11, 2014 by admin. This entry was posted in Motion Offense, Offense and tagged basketball offense, coaching basketball, five out offense, motion offense, open post offense on April 3, 2014 by admin.